Brownsville residents enjoy traditional Mexican folk dances during the annual Baile de Sol Street Dance Sunday afternoon. 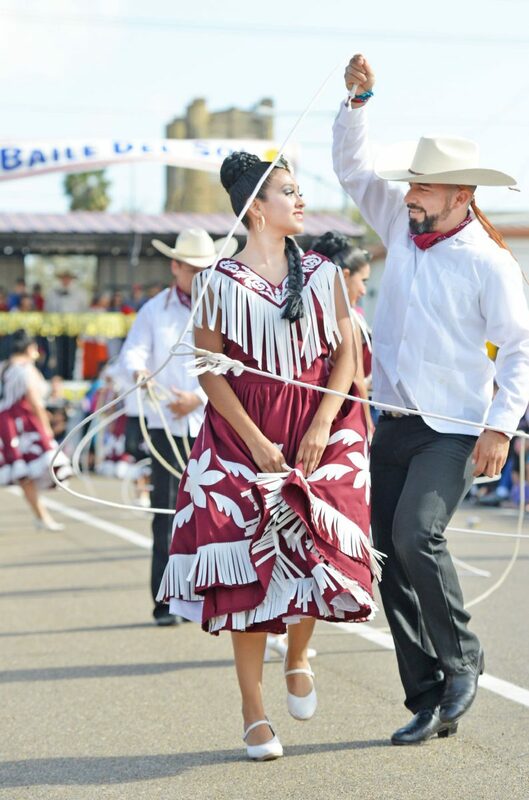 Baile de Sol marks the official kick-off celebration of Charro Days Fiesta. 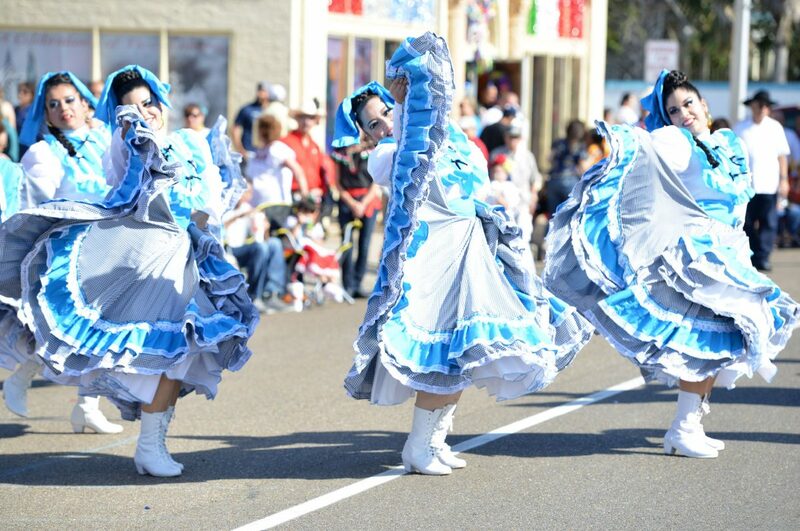 Students from Brownsville’s schools danced the community into the 81st annual celebration of Charro Days Sunday afternoon with the Baile del Sol. Elizabeth Street in downtown Brownsville in front of the Charro Days headquarters was shut down as colorfully dressed residents geared in Charro outfits packed onto sidewalks and enjoyed hot food and cold drinks from vendors. Proud parents used smartphones as they recorded their children performing traditional Mexican folk dances. Charro Days Committee President Lucy Escamilla officially kicked off the weeklong celebration at noon. A confetti cannon shoots confetti into the crowd of guest Sunday during the annual Baile de Sol Street Dance celebration marking the official kick-off of Charro Days Fiesta. 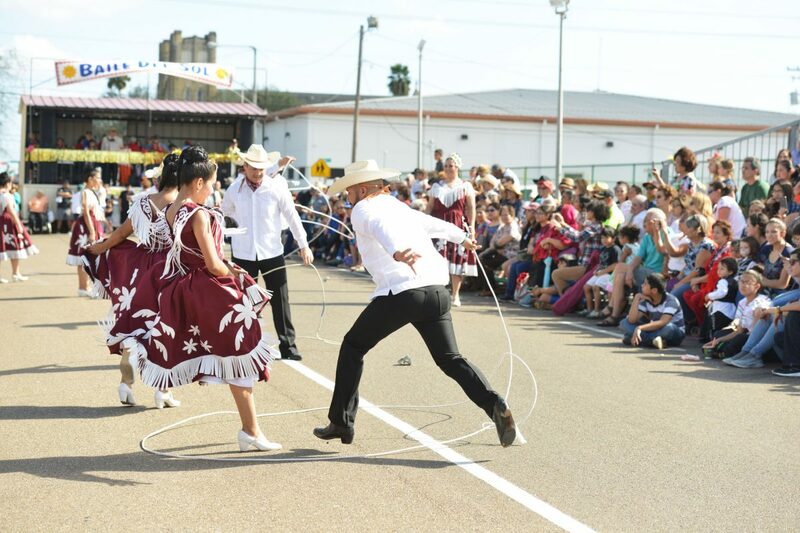 Brownsville residents enjoy traditional Mexican folk dances during Baile de Sol Street Dance during the kick-off Charro Days Fiesta celebration Sunday afternoon. 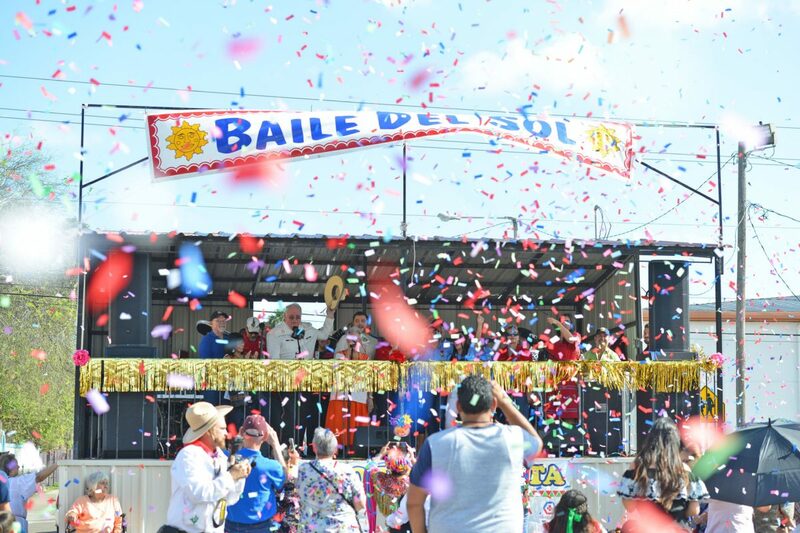 Despite gusty winds that sent some dancers and onlookers chasing sombreros and cowboy hats, the beloved Brownsville Baile del Sol went off without a hitch. The Baile del Sol ran from noon to 6 p.m. with revelers enjoying dancing, a 2 p.m. children’s costume contest, the 3 p.m. Grito and at 4:15 p.m., contestants took part in a flour tortilla eating contest. Also on hand during the event were members of the extrajudicial Beard Posse, who used the opportunity to remind Brownsville men that they’ll throw them in jail if they don’t have a beard. There’s only two ways the beardless can escape: by showing posse members a get out of jail free card purchased from the Brownsville Historical Association or by making a donation to that organization. Rusty Harwood, a Beard Posse member, said he always comes out to the Baile del Sol. “We’re here every year,” Harwood said. The fun continued into the night with a Little Bit of Mexico that began at 7:30 p.m. at the Texas Southmost College Arts Center. On Monday, the Brownsville Independent School District holds its annual Fiesta Folklorica at Sams Stadium on West Jefferson Street that includes student performers from Breeden, Castañeda, Egly, Martin, Morningside, Palm Grove, Paredes, Perez, Ortiz and Villa Nueva elementary schools. The event starts at 6 p.m., but there’s a pre-fiesta at 5:30 p.m. for those who just can’t wait. Admission is free and open to the public. The Charro Days fun continues throughout the week. For more information on events, visit Charro Days on Facebook or visit the organization’s website at http://charrodaysfiesta.com/events.html.